We know there are a lot of different headphones out there and we are always open to suggestion for new models of pads to make. Let us know your thoughts on new models or any questions you may have regarding our current lineup. 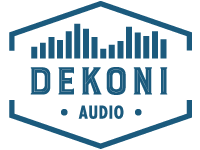 Dekoni Audio loves to hear from customer and potential customers. Please note that Dekoni Audio will never sell or share your personal information with anyone else.